Our neighborhood traces it's beginnings to 1902 when Captain Fisher donated 28 acres of his land holdings for development of a "suburb" of Greensboro. In exchange, the city paid $5 and agreed to build a "driveway" within the donated land. This "driveway" became our signature public streets, Fisher Park Circle, North Park Drive, and South Park Drive. Land lying within that space became a public park, Fisher Park. Captain Fisher died soon thereafter in New York City in 1903 at only 52 years of age, without having accomplished the neighborhood's development. He was buried in N.Y., and it was many years later when his wife Isabella had Fisher's remains disinterred from N.Y. and reinterred in the Green Cemetery near our neighborhood. Fisher is buried with family members near the southern-most Wharton Street entrance to Green Hill Cemetery. Several years thereafter, two business partners Mr. Wharton and Mr. Latham, began the neighborhood's development in earnest. Our neighborhood developed in stages, with most original buildings completed between 1915 and 1930. The Fisher Park Neighborhood Association was formed in 1978 and the smaller, inner core received Historic District designation in 1982. Today the neighborhood is comprised of almost 900 residences -- single family houses, townhomes, condos, apartments and businesses -- immediately North of downtown Greensboro. During each year, our Association of volunteers distribute quarterly newsletters, organize social events for our children and adults, host a fund-raising Luminaria display each December, and a house tour every few years. 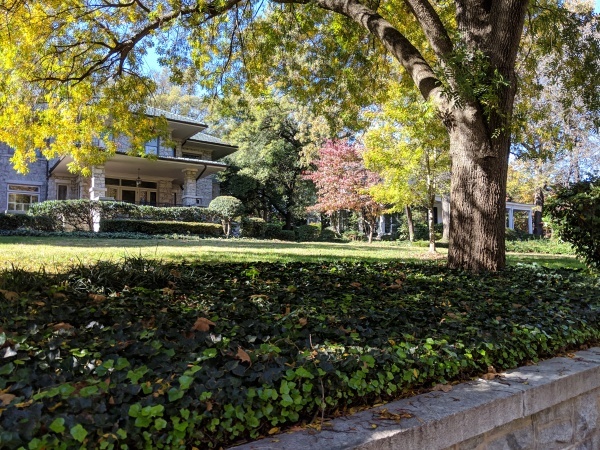 ​Fisher Park residents are diverse in our ages, economic situations, and life styles yet share a common enjoyment of older homes, plentiful sidewalks, mature canopy trees, and our central feature, lovely Fisher Park itself.